​How and is it Safe to Buy Diamonds Online? Given that a company like Samuel Jewelers was recently caught allegedly selling synthetic diamonds as natural stones locally in retail stores, it is a fair question to ask if buying diamonds online is safe. Also, if it is safe to buy diamonds online, what are the best ways go about it and what factors should one consider? This article will explain how to buy diamonds online safely, what are some of the ways to verify if an online business is a legitimate company, share seven factors about diamonds that are important in determining the price as well as overall brilliance of a diamond, and finally discuss four scenarios that people often consider while deciding how to prioritize the 4Cs of a diamond. Before answering these questions, it is important to note that most diamond companies (online or retail) work with a network of diamond dealers worldwide and do not own the stones listed on their websites. They are basically intermediary between you and the dealer. Once they sell the diamond to you, they ask the dealer to send it to them and then it is passed on to you. This is why you might find the same diamond on many different websites. An excellent resource that we find helpful for comparing loose diamond prices and viewing them in 40X magnification for identifying the locations of inclusions in a diamond is James Allen. 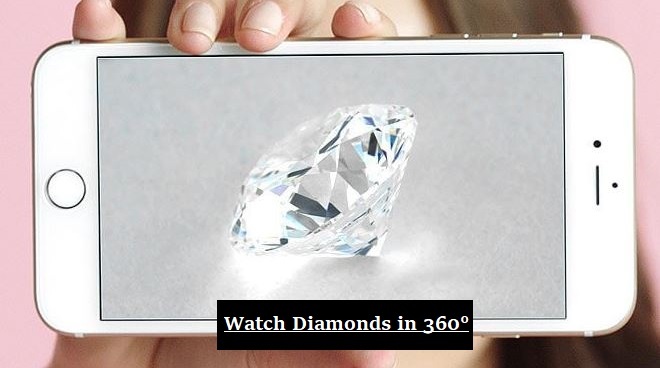 The website has always been on the cutting-edge of best internet technology for diamonds and can be a great resource to you for comparing one diamond to another. Yes, it is entirely safe to buy diamonds online. Recently, one of the largest online retailers, James Allen, got sold for $328 million dollars. To you it might look like just a website, on the backend, it is a comprehensive corporation. If it wasn’t safe to buy diamonds online and if they didn’t have large volume of transactions, why would Signet buy the website for that amount? In fact, the online diamond industry has revolutionized the diamond trade. In the old days, local retailers would rip-off customers because shoppers had no idea how to compare diamond prices. They didn’t have access to any source to check the prices of diamonds for reference. Now buyers can easily compare diamond prices on 4-5 websites and then have a good idea of how much a diamond is worth in a given range, say a Round Cut Diamond, VS1, F Color, GIA Graded, Excellent Cut, and with No Fluorescence. Life-time warranty and life-time upgrade polices are worth an extra 5% of the price, but most reputable online brands anyways have the best prices. Your jewelry is going to need servicing (stones will fall off and resizing/polishing needs to be done after a while) and unestablished brands are not equipped to provide you long-term service even if they make the commitment to you (would they be even around after a year?). What if you need to upgrade to a bigger stone after a few years? Would they offer you good and fair terms to upgrade? That is why sites like James Allen might be your best bet in the long-term. Even if unestablished brands offer you a return policy, they might not have the cash flow to give you your money back on time. Make sure a beautiful experience as buying a diamond or engagement ring is is not turned into nightmare and that you are covered by a comprehensive return policy. As is demonstrated in the Samuel Jewelers case, all sorts of games are being played by jewelers to sell you inferior and fake stones. In order to safe guard against such games, it’s a good idea to buy at a reputable site. James Allen’s brand value is $300+ Million; a site like that has every reason to sell you what they say they are selling just to protect their brand name. 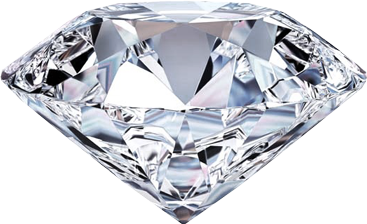 Finally, we cannot emphasize enough the importance of a proper diamond certification. We strongly recommend GIA and AGS as the best labs. If you are in the market for an AGS Ideal Cut Diamond, we would recommend Brain Gavin Diamonds. Brian is a 5th generation diamond cutter and the trade of diamond is more than a business to him. These are the kind of folks you want to be dealing with if you want your experience to be a pleasant one and need a jeweler that you can rely on in the long-term. It is very important to pay attention to seven factors while shopping for a diamond online. These seven factors will be explained in the subsequent factors, but let’s discuss some important methods that can help you to determine if an online business is safe or not – these factors can help you assess any online business, not just a jewelry business. How to assess if an online business is a legitimate and legally approved entity? The first basic element to look for in a website is to ensure if it has a Secure Socket Layer (SSL) certificate or inscription. It is either a Green https or a lock sign next to the domain name of the website as shown below. The domain should state https not http especially in the checkout page. While anyone can obtain a SSL certification, it is still an important basic element for the security of your credit card data; it encrypts your card information so that it is not stolen by the vendor or anyone else as you enter it into the website’s order page. Do they Accept Credit Cards and PayPal? If the website accepts credit cards and PayPal and also has legitimate business bank accounts for wire transfer, it is a helpful indicator that the business is legitimate. No bank in the U.S. would issue business bank accounts without verifying the proper identity and documentations of a business. Importantly, the U.S. government treats diamond dealers like a bank, they are required to institute comprehensive anti-money laundering (AML) programs and banks are required to verify this before approving their business accounts. Some folks may still trick banks. If you are still not sure about a business, but still can’t help the deal they are offering you, go with PayPal as they would give you money-back guarantee protection if something goes south. The third element to look for is the affiliation of the website with third parties like the Better Business Bureau. In order to qualify for BBB, you must have one year industry specific experience. They also require business registration documents. While vendors have to pay a fee to remain accredited on monthly basis, it is still a fantastic verification tool for buyers because it shows that the vendor is serious about their reputation and is also committed to high quality customer service, especially if they do not have many negative reviews online. The Art of Telling Bogus Reviews from Good Ones! Reading reviews is the most important factor. However, while reading reviews there are three important points to keep in mind: 1) these days there are service providers that can get you bogus reviews. Therefore, in order to verify legitimate reviews, look at reviews on multiple platforms like Google, BBB, Yelp, Facebook and industry specific review sites like wedding wire or third party market places like Amazon/Etsy if they sell products there; and 2) look at the date range of the reviews. It may be more helpful to see 30 positive reviews from a vendor over period of 3 years than seeing 100 reviews from a vendor in a period of one or two months. How long did they remain consistent in their customer service? Finally, make sure you review their policies and feel comfortable with the terms of the sale. While shopping for a diamond is safe online, it can only be a sound idea if you know what you are doing when it comes to buying diamonds online. The good news is that the Gemological Institute of America (GIA) has made our life very easy and has introduced a standard method for assessing the quality of a diamond. It also can help us in determining the price of a diamond as diamonds have become a commodity and their prices are pretty much standard. The standard that the industry uses is called the – 4cs. Carat weight, Cut, Color, and Clarity. In addition, we also use three other important factors in determining the price of a diamond. These include the shape of a diamond, the presence of fluorescence in a diamond, and the certification/grading report of the diamond. The shape of the diamond affects the price simply because certain shapes needs bigger rough diamonds than others and also look visibly larger. For example, a well cut round shape diamond when cut and polished is usually 6.5 millimeter in overall diameter whereas a square princess cut would be 5.5.mm in size. We have developed comprehensive guidelines for each shape of a diamond. Please refer to them for reference. The carat of weight of a diamond is straight forward, the larger the stone, the more expensive. However, the prices of diamonds jump significantly as they get larger because of the scarcity element. For example, a 2 carat stone is much scarcer than a 1 carat stone, so therefore a 2 carat stone is not just two times the price of a 1 carat stone, but 3-4 times the price of a carat defending on its characteristics. The cut of a diamond is very important because it determines the level of brilliance and fire in a diamond. Sometimes stones are badly cut due to the poor skills of the cutter, but in some instances, dealers would purposefully cut stones deep in order to save rough diamond and sell you a 1 carat diamond that in reality should really be 0.8 carat if it was well cut. White Diamonds with no color are preferred over ones that have yellow tint. Therefore, the absence of color gives a diamond a higher value. D-F color range diamonds are considered colorless, G-J are considered near colorless followed by other color ranges till Z. D is the highest color grade and G is a great color grade for people who wants to maximize both quality and size. Up to I or J color is still considered decent color ranges for maximizing budget. Clarity is also an important factor in a diamond as it examines the level of inclusions such as black carbons or crystals in a diamond. Clarity ranges from Flawless and Internally Flawless (FL/IF) to Very Very Slightly Included 1/2 (VVS1/VVS2), Very Slightly Included 1/2 (VS1/VS2), Slightly Included 1/2 (SI1/SI2) and Included 1-3 (I1-3). FL and VVS ranges are considered very high quality. VS ranges are also eye clean and beautiful diamonds. SI1/2 are also excellent budget options and can be often eye clean depending on the type of inclusions and where they are located. The presence of fluorescence in a diamond can rarely affect the appearance of a diamond (make it hazy or oily), but is not often a negative factor. It can actually make yellowish diamonds (H and above color) whiter because fluorescence is blue and blue is a complementary color to white. However, fluorescence generally is considered a negative factor, especially in D-G color diamonds. Therefore, it can affect the price of a diamond. Please refer to our guidelines on fluorescence for reference. Now you must be wondering how does grading/certification affect the price of a diamond. Well, first it cost money to grade a diamond and a dealer has to wait up to a month or two for a lab like GIA to grade a diamond. Such cost for grading is naturally added to the final value of the stone. Moreover, because some labs are not as consistent/strict as GIA, dealers would sometimes grade their diamonds by them in order get better results and then offer better prices on them. However, in reality, you aren’t really getting better prices, but inferior diamonds grading higher than their actual quality. Our recommendation is to always go with GIA, but the American Gem Society Labs (AGSL) is also a decent lab if you find a good deal. Scenario 1 – The buyer will only care about the highest quality in terms of the 4Cs (what they consider investment grade). An example for this range would be FL-VVS1 Range, D-E Color, GIA/AGS Graded, Excellent/Ideal Cut, No Fluorescence. Great choice if you can afford it. Scenario 2 – Buyer would maximize budget and still get the best looking stone – quality is still a preference. So they would go for something like a F/G color, VS1-SI1 clarity, No to Faint Fluorescence, GIA/AGS graded, Excellent to Very Good Cut with great proportions (our ideal choice because these stones are in high circulation and easy to resale). Scenario 3 – Buyer wants to get the largest possible stone, but one that is still within a good color, clarity, and cut range. So they would go for say a larger SI1-SI2 (preferably eye clean), H-J color, Medium to Strong Blue Fluorescence, GIA/AGS graded (IGI/HRD would be fine too), and Good to Excellent Cut as long as the stone still has good brilliance and fire. Scenario 4 – Buyer don’t mind overly compromising on one of the 4Cs in order to get a big stone. In this scenario, we often recommend compromising on the color so that you can still get a clean stone with optimal brilliance. So an ideal choice in this case would be an L-Z color stone, VV/VS clarity, Medium to Strong Fluorescence, GIA/AGS graded, and IDEAL/Excellent Cut to maximize fire and scintillation. To conclude, yes, it is safe to buy diamonds only. Make sure you buy it at a reputable site and that the diamond is graded by GIA or AGS. Having a strong return policy and long-term commitment from the jeweler is also critical. If you need further advice or help finding a diamond, contact Sharif through our home page for assistance and guidance.